This post has been a long time coming! 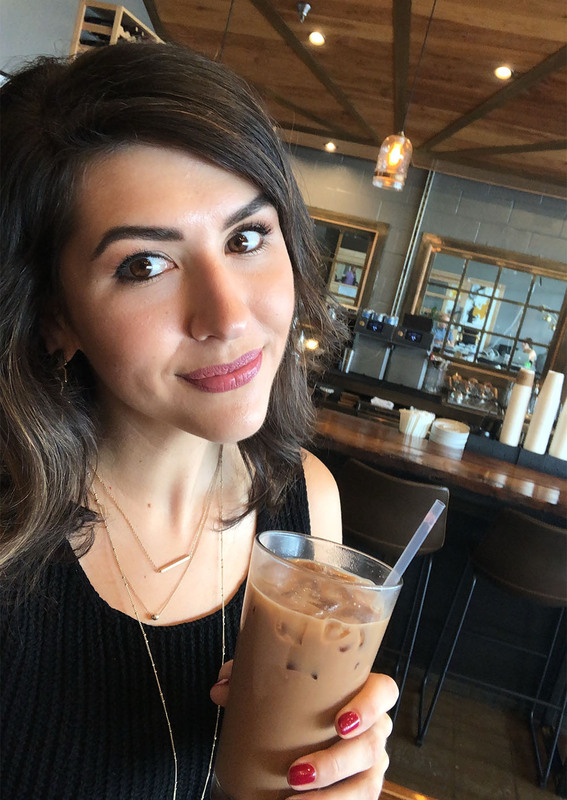 Today I’m answering one of my most frequently asked questions: “What is your favorite coffee shop in Dallas?" I’ve done all the research so you don’t have to! I'm listing my top Dallas coffee shops AND even worked with one of my favorite gals to create this graphic for you to pin so you don’t lose this post! 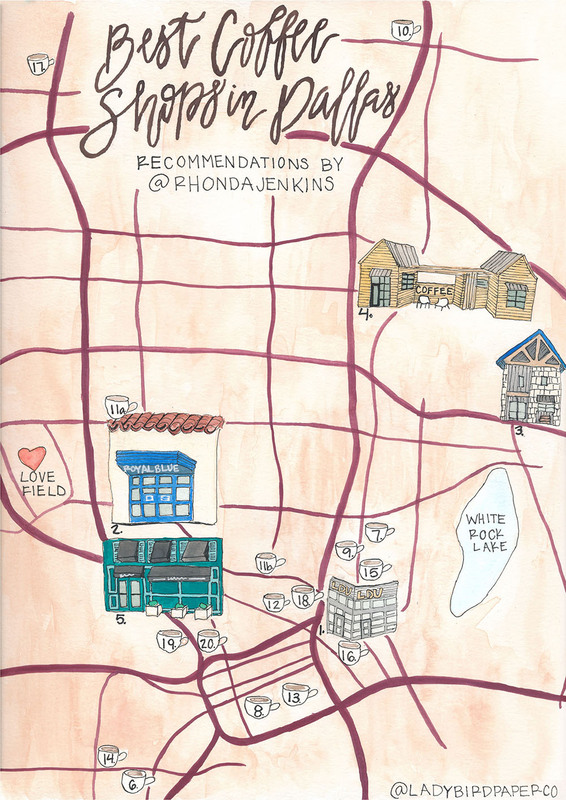 How amazing is this watercolor map of my Dallas coffee list, created just for you by Alex, the talented gal behind Ladybird Paper Co. I hope you find this map and list helpful as you decide where to work, play, photoshoot, and hang out in Dallas! I’ve ranked these shops in order of my own personal preference, based on atmosphere, staff, location, “is it ‘grammable?” and even parking! You’ll notice that the shops at the top of the list are frequently tagged in my posts or insta stories! I'm including a few photos that I had on my camera roll from these shops- no special photoshoots because these are the places I visit in my day to day life! 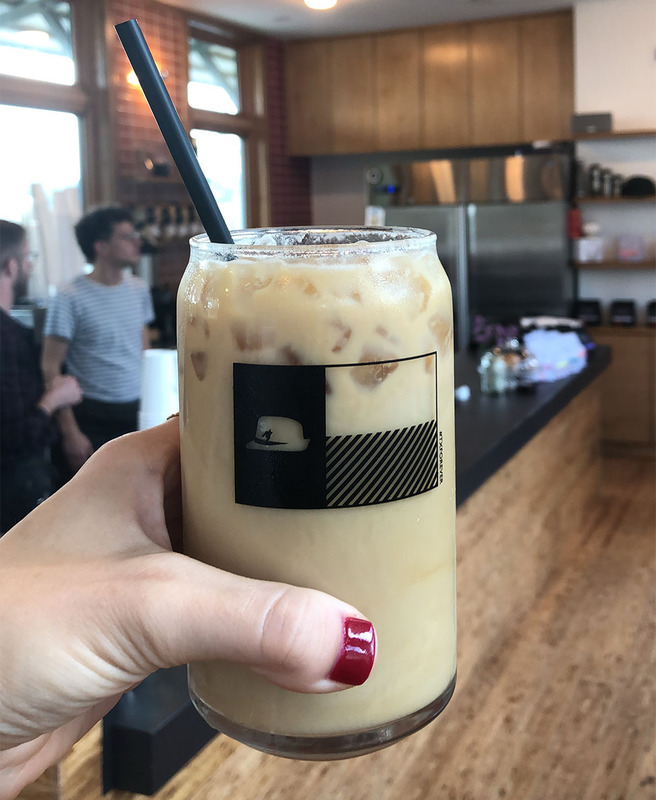 Note: I’m sharing some of my “treat yo’self” coffee orders, not my boring cold brew coffee orders, so you order what you want, but know that the treat yo'self option is there. Each of the shop names is linked to their Instagram page for easy mobile access to their address! Why I love it: no $17 lattes, the mocha is so gooood, and they know my name. Cool accents are free. Why you’ll love it: chill vibes, lots of natural light, easy parking, and a wifi password that will make you laugh. I order: the mocha. I always ask them to make it as skinny as possible, and they roll their eyes at me and promise me that the mocha has no cals, so that’s good news! I’ve been here pretty often as of late because it’s an easy meeting spot AND I can snag a photo out front in HPV without causing too much of a scene. #bloggerlife. If you’ve never been to Royal Blue Grocery, you need to change that ASAP, because the name isn’t just for kicks- it’s an ACTUAL grocery store! You can buy your eggs, flowers, and wine while you’re there! Why I love it: I can buy a protein bar instead of a cookie! Why you’ll love it: no wifi password and a second level balcony for serious work sessions. I order: a caramel latte, nonfat, of course, and try not to look at the baked goods. I really don’t even know what neighborhood to put this in (because it’s far!) BUT it’s close to White Rock Lake, so I usually pair a run around White Rock Lake with a visit to White Rock Coffee…the run is necessary because my coffee oder here is nottt healthy. 😉 This place is the definition of cozy neighborhood coffee spot. Why I love it: Signature drink menu on point, friendly staff, the least “Dallas” place I go! Why you’ll love it: you can come here in sweats with no judgment. I order: ALWAYS the iced white rocker…it’s like caramel, white chocolate…v healthy. OK mixed feelings about Houndstooth but let me explain why! The location is amazing- the new development at Walnut Hill and 75 (east and west side!) is amazing because it is so close to my house! So many good things right by my hood and I love it. So, this Houndstooth location is great for me when I just need to get out of the house quick and crank out some work. It’s great if you work with headphones in and don’t need much table space. The setup this shop is divided into two separate spaces- one building is the coffee counter and bar space; the other room is completely open space with a banquette seat around the perimeter of the room and small tables, reminiscent of high school writing desks every few feet with chairs on the interior side of the tables. Hard to explain, so definitely visit if you haven’t already! All of that being said, location wins on this one and it's become one of my go-tos. Why I love it: location location location and nice baristas who don’t expect you to know as much as they do. Why you’ll love it: instagram goals and outdoor table space. I order: the chocolate latte. every. time. This has been a long time favorite of mine and I’ve hosted many coffee meetups at Magnolia’s because it is SO cute and usually has plenty of space on the patio! 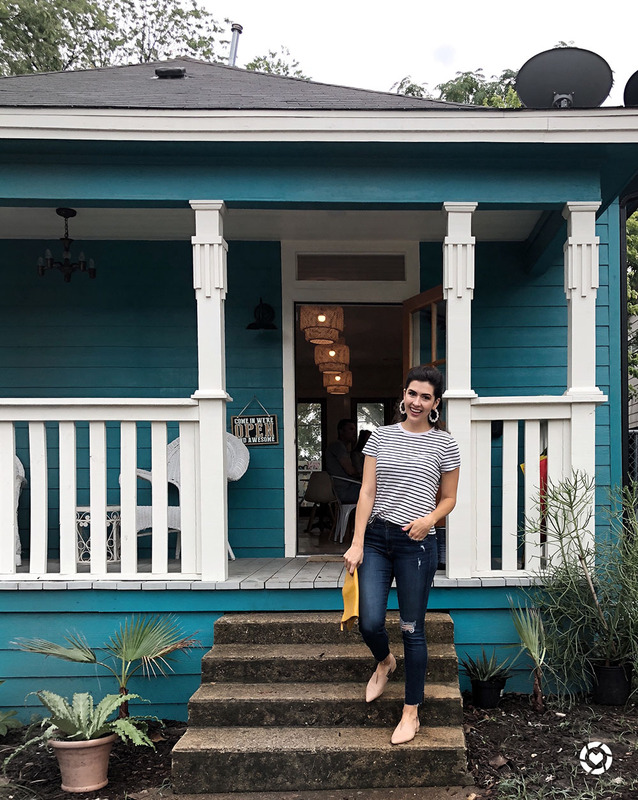 The bright teal exterior is a beacon for blogger babes, so don’t be surprised if you see a few bloggers or photographers hanging out in front while you're sipping your lavender latte. Why I love it: pretty coffee presentation and the cutest storefront = insta for life. Why you’ll love it: patio seating and chill vibes on a peaceful street in Harwood. I order: usually one of their seasonal menu items- rotating menu always on point. Why I like it: the owners are #goals and such a light in the community, the atmosphere is light and bright, and I make a new friend every time I visit. Why you’ll like it: plenty of room, a hoppin' event calendar, and acai bowls that dreams are made of. I order: a mocha AND a gluten free treat (I’m not even g-free but it feels healthier). I’m all about a multipurpose space, and Halcyon is not only a coffee shop, but also a restaurant and happy hour destination! Located on Lower Greenville, Halcyon brings a bright space with tons of natural light to the area- entrepreneurs rejoice! There is plenty of space to snag a table during the day. Bring your headphones because you’ll see (and hear) a mix of people working or friends meeting for lunch. Why I like it: plenty of space, always a cute instagram. Why you’ll like it: you can order a coffee, a "drink drink" or DIY s'mores while you work. Surely you’ve seen your favorite Instagram babes sitting outside the moody, all-black storefront that is Otto’s Coffee! 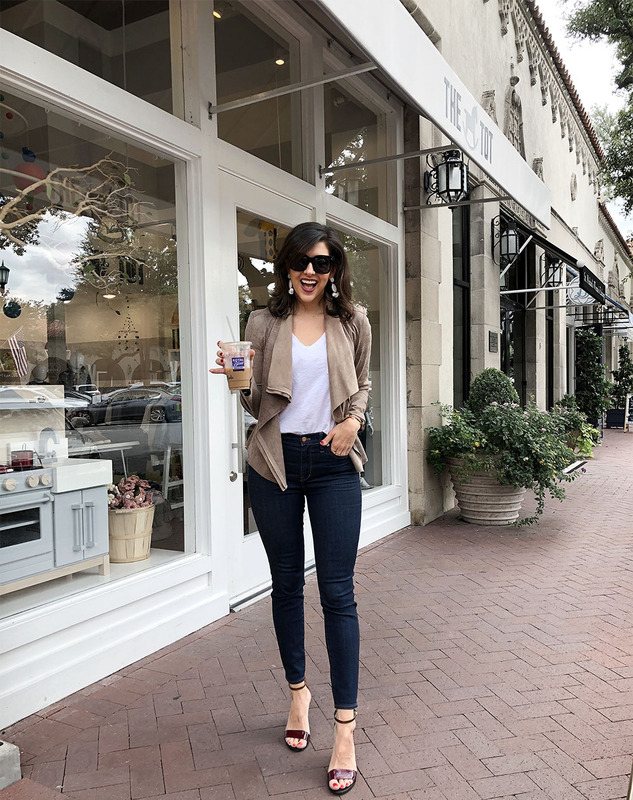 Y’all know I love the Adolphus and have hosted Dallas Blogger Brunch at their City Hall Bistro, done a staycation and spa day there, and hosted a Labor Day Summer Sendoff pool party there! Anytime I’m there, I have to visit Otto’s! Maybe I have a thing for little "free" cookies because your wooden coffee tray includes a little chocolate cookie; I can’t remember what they’re called, but you’ll love it- trust me. Why I like it: moody instagram #goals, delish baked goods, NICE baristas, and that little cookie! Why you’ll like it: tasty caffeine fix, presentationnn. I order: everything. The only reason this place isn’t in my top 5 is location- it’s downtown and that means parkinggg… 30 minutes free, and you can pay $15 to valet at the hotel, or find a nearby pay lot. Good luck. Worth a visit at least once though! Can I get a monthly membership? Mudsmith hasn’t been around THAT long, but I think it helped jumpstart the Lower Greenville revitalization! Maybe I have a deep emotional connection to Mudsmith because I remember sitting at a table on New Year's Day after the very first Beats & Bubbly NYE party and setting my work goals for the upcoming year. Yep, emotional. haha Mudsmith is dark and moody, perfect for a rainy day coffee spot. It’s a great place to work or people watch! Now they have a new location on Oak Lawn and I've walked past but haven't actually worked there yet so #greenvilleforlife. Why I like it: KC’s Latte! I LOVE when places have signature drinks! Why you’ll like it: Parking in back isn’t too tough, and it’s not crazy overpriced. I order: KC’s latte…not even sure what’s in it, but it’s good (read: unhealthy)! I JUST discovered this place last month and on the way I even gave my friend a hard time about going to a coffee shop in Richardson. Richardson?!?! Yep, but I was pleasantly surprised, and you will be too! Communion Coffee is next door to Communion Coworking space and it has plenty of parking in front of the building and beautiful light inside! The coffee menu has the basics and I was v pleased with my iced mocha. The friend I visited with is a photographer; the light was SO nice inside that she asked a random woman if she could take a photo of the woman's children playing because the light was too perfect not to. I think that is all the proof I need. Why I like it: not Dallas. Why you’ll like it: not Dallas, plenty of space to spread out. I found their original location 8 years ago and it’s the perfect stop in Park Cities. I workout at Beyond Pilates across the street, so it's easy to pop in and do a little work while I'm in the area. The new location on Oak Lawn is also perfect for me because it’s in the same shopping center as Zyn22, so if I have spare time before spin class or want to beat traffic, I can do a little work at Drip! I know I know, this list is best coffee shops, not best juice shops, but trust me, Brewed + Pressed has it all! Their coffee menu is like their decor- clean and no frills, but just right. You can also get juices, shakes, and some great healthy snacks! Why you’ll like it: You can snag a slice of healthy pumpkin cheesecake with your coffee! Cutest name and cutest shop, tucked away inside the Joule Hotel. 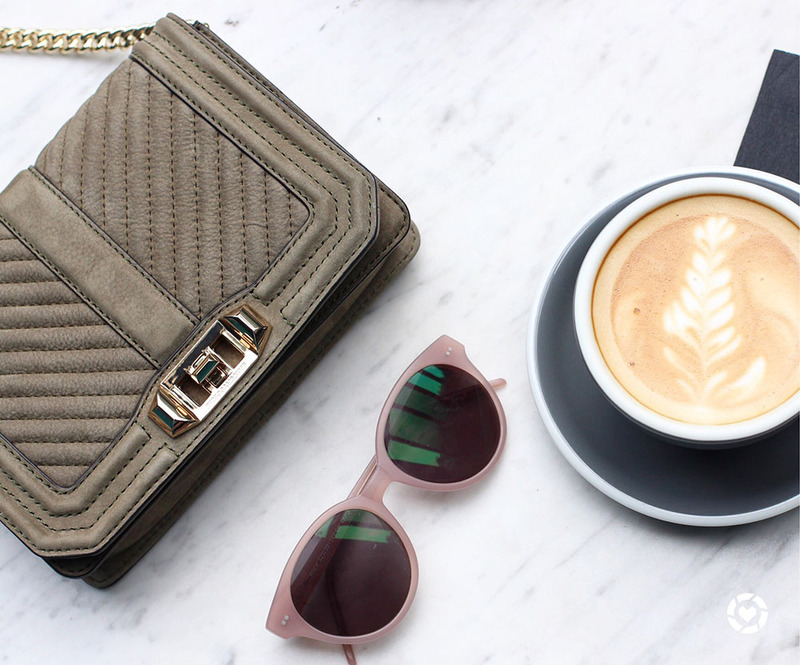 Beware of designer lattes and very proud baristas, but sometimes you just have to do it for the ‘gram. The Joule offers 90 minute complimentary valet parking, so it’s just enough time to pop in, grab a coffee, and send a few emails if you’re in need of a work spot downtown. Great people watching, too! If you need coffee, and you also like toast (who doesn't like toast?! ), then Toasted it is! This is a great place to work at any time during the day, but it’s my favorite when I’m having a slow morning and want coffee plus “brunch” while I work. Great spot to meet friends for work dates because there are large tables and plenty of outlets. I love coffee shops outside of the Dallas loop when I don’t want to see anyone i know. 84 Point is on the first level of an office tower in Addison and I didn't have high hopes, but it has won me over with its spacious layout, large outdoor patio area, AND being a good middle point for friends coming from the north! Why I like it: It’s next door to Salata so I can stop for a healthy lunch or din. Why you’ll like it: pumpkin spice latte art (so cute!). Why I like it: they have everythinggg, including a v hip crowd in the Design District. Why you’ll like it: you’ll feel a little fancy while you sip your latte. I order: a mocha or an iced chai. Fairly new to the Dallas coffee scene and you probably haven’t seen it unless you frequent Victory Park! It’s a small space but I love the bar at the window and the sidewalk seating! I don’t make it down to Victory Park too often, but Cafe Victoria makes me want to visit more. Let me be honest- their branding and color scheme are on point and I just eat it up. Cafe Victoria here I come, just for that CV blue. Why you’ll like it: they are doggie friendly and have a capPOOCHino that gives back to pups. There you have it! 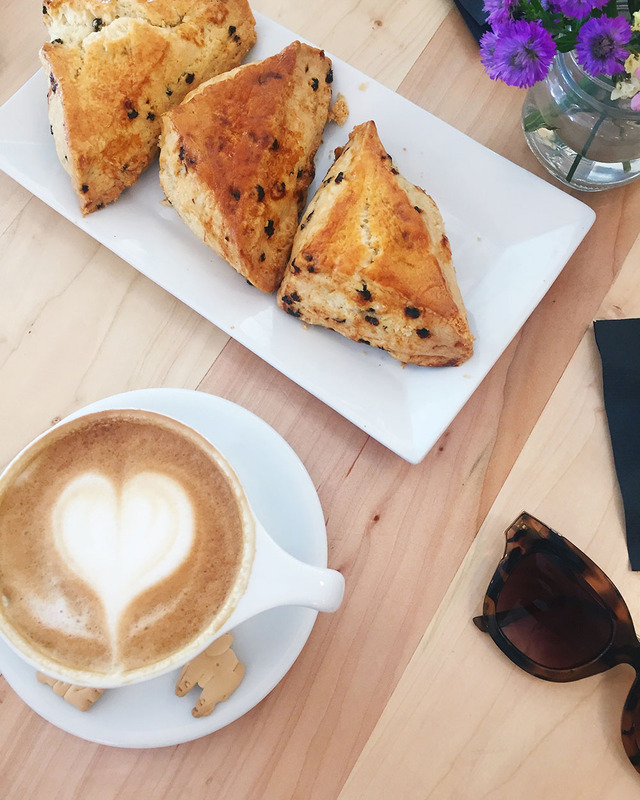 My top spots to stay caffeinated, get your insta, and maybe make a few new friends along the way. If you see me out and about, be sure to say hi!